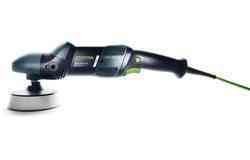 Stop stressing about running power cords. 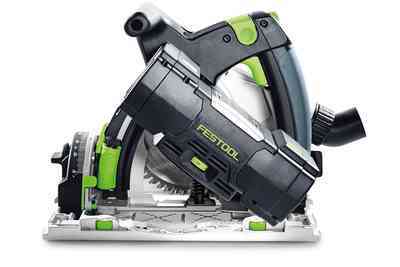 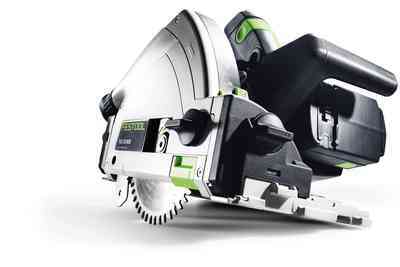 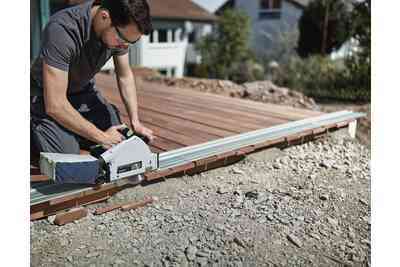 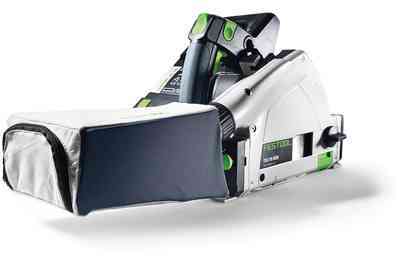 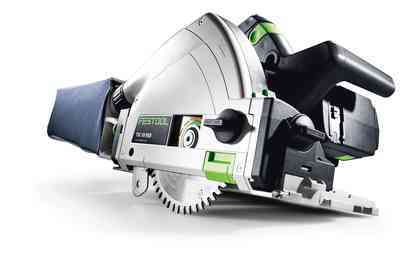 This cordless track saw lets you work where you need to work -- regardless of what the outlets. Rip as much as you need without worrying about the length of your cord. 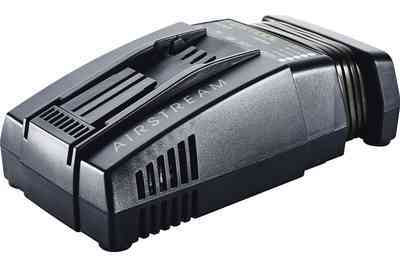 You'll never run out of road. 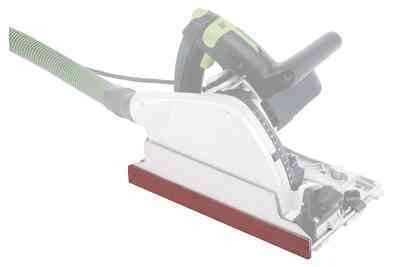 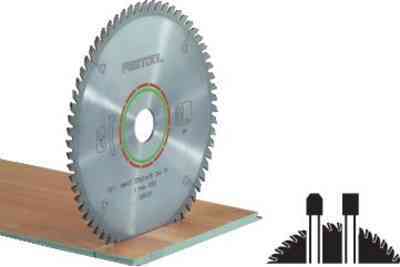 Splinterguards on both sides of the blade will ensure that you get a tearout-free cut. 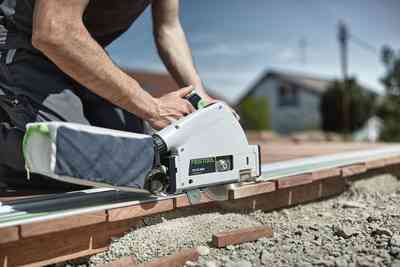 Get incredibly straight and accurate cuts each time with the FS Guide Rail System. 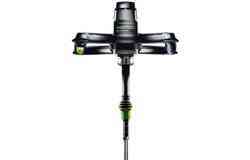 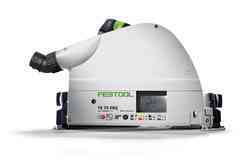 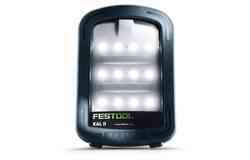 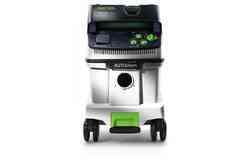 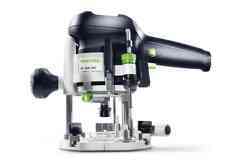 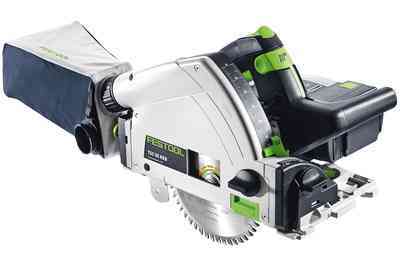 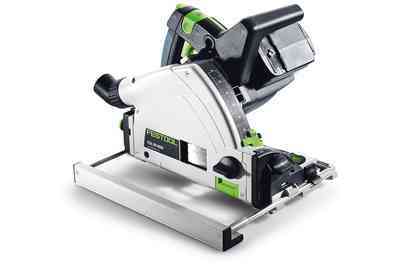 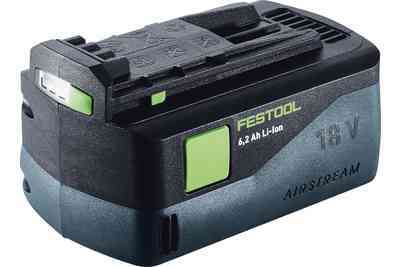 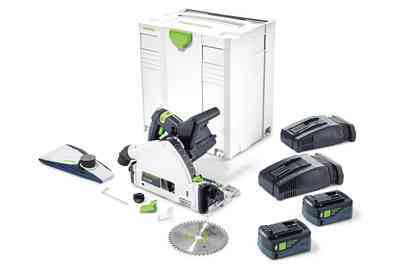 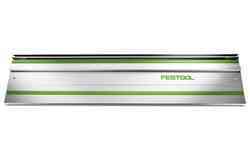 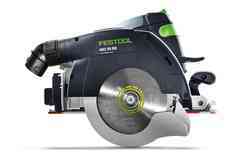 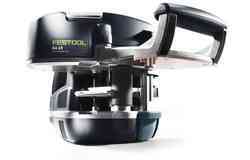 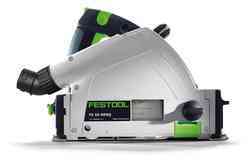 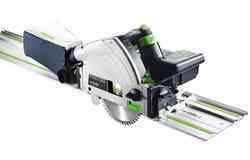 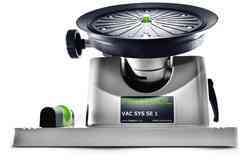 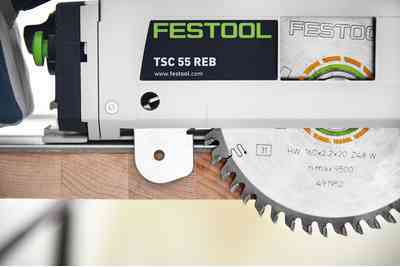 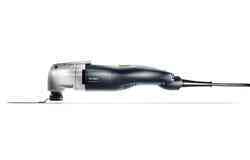 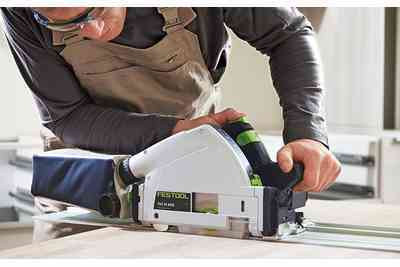 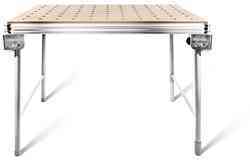 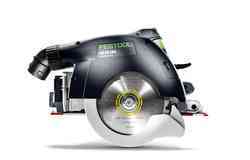 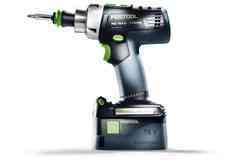 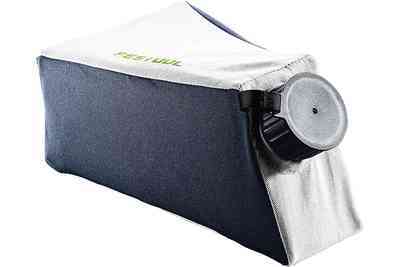 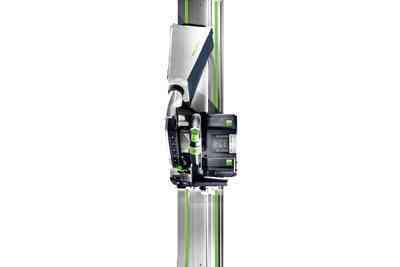 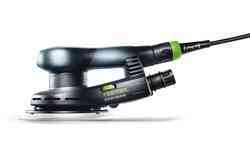 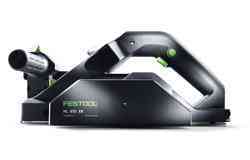 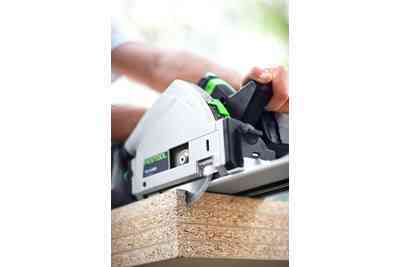 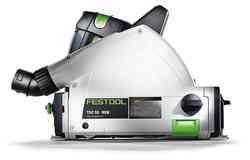 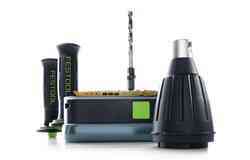 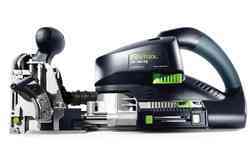 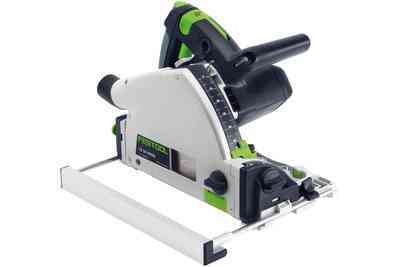 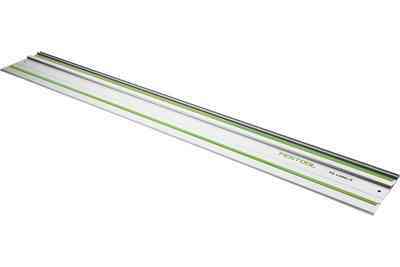 When used with Festool guide rails, you have ultimate control over the TS saw for perfectly straight cuts. 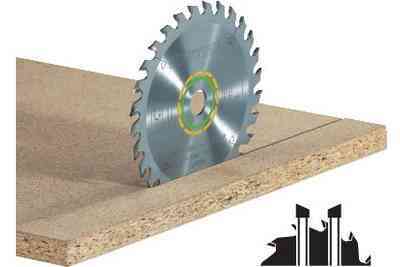 Add the replaceable splinterguard, and a splinter-free cut is achievable on both sides of the blade. 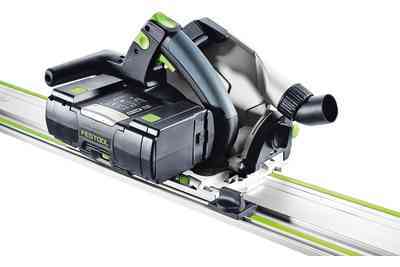 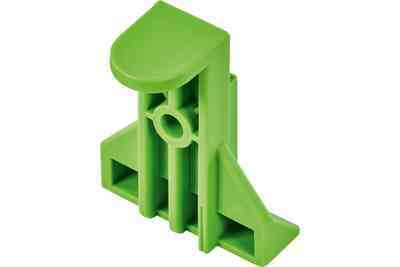 Spring-loaded riving knife (splitter) retracts into the housing during plunge cuts. 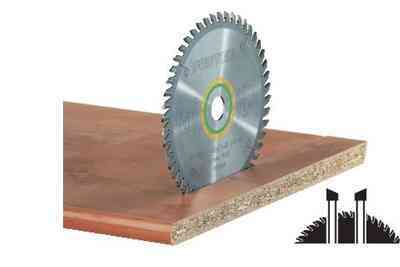 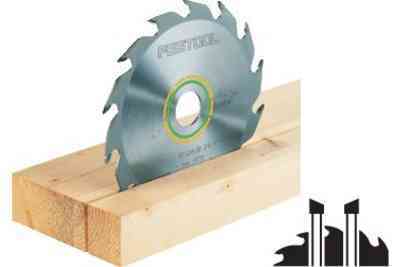 The riving knife keeps the cut kerf open so that the material does not pinch the blade. 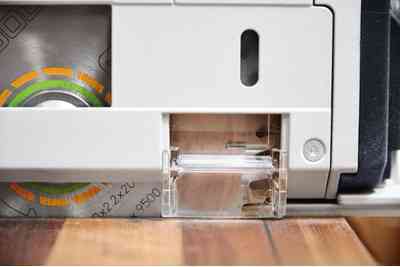 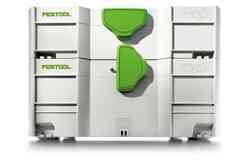 This reduces the chance of kickback, leaving you in control of the operation.